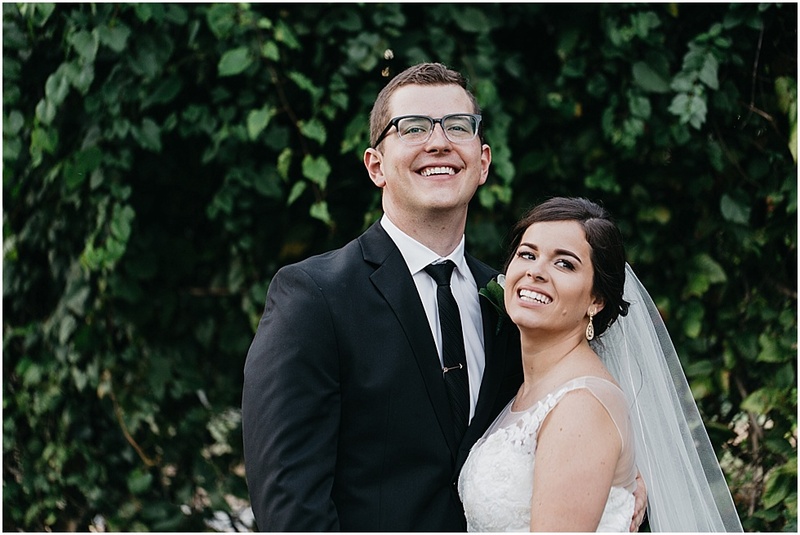 Jamie and Seth reconnected at the perfect time in Jamie's life: as she was returning to the Church and rediscovering her relationship with Christ. 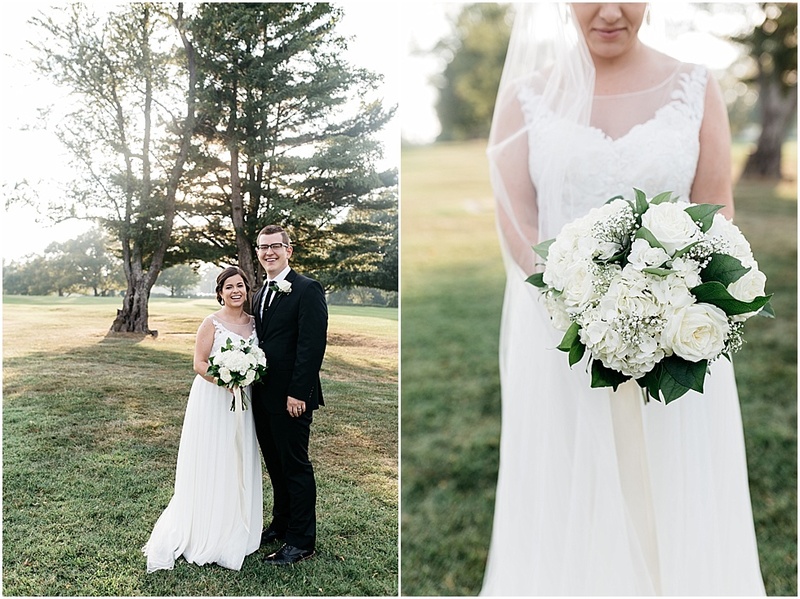 Through the instantaneous peace she felt on their first date, to the tranquil joy of their wedding day, Jamie experienced, through Seth, the peace that only God can give. From the Bride: Peace and calmness. These are not words my friends and family use to describe me, and it was not how my heart felt--until I met Seth. Christ's plan is always bigger than ourselves, and this is easy for us to forget. In 2013, the Lord began stirring my heart and was slowly guiding me back to the Catholic Church. At the same time I moved back to Maryland and was reunited with an old theatre friend from five years prior. Spending time with him was joyful and encouraging. He made me feel safe and loved from the start. I remember getting ready for our first date and thinking, "Why am I so calm?" Little did I know that God was foreshadowing my wedding day, when my bridesmaid said, "You are the most calm bride I have ever seen." It wasn't easy getting from that first date to the wedding day, but like any journey that follows Jesus, it made us stronger. I was dating my future husband and re-converting to the church simultaneously, and the processes were surprisingly similar. The confusion and frustration that can be part of a relationship with Christ also comes with a relationship with a spouse. The happiness, enrichment, and goodness that comes as a result of loving the Lord is also a result of loving your spouse. Understanding what loving another person meant helped me to fall deeply in love with Jesus Christ, as well. Seth and I began going to Mass every week together, provoking wonderful conversations about the Church. He shed light on so many parts of being Catholic that I struggled with. It is one of the many ways our left brain and right brain balance works so well. Planning for the sacrament of marriage was unbelievably fruitful in learning even more about Christ's love for us and about the Catholic traditions. When planning our wedding Mass, it was important to us that the entire congregation felt loved. We wanted our love for one another to be a clear reflection of Christ's love for His people. 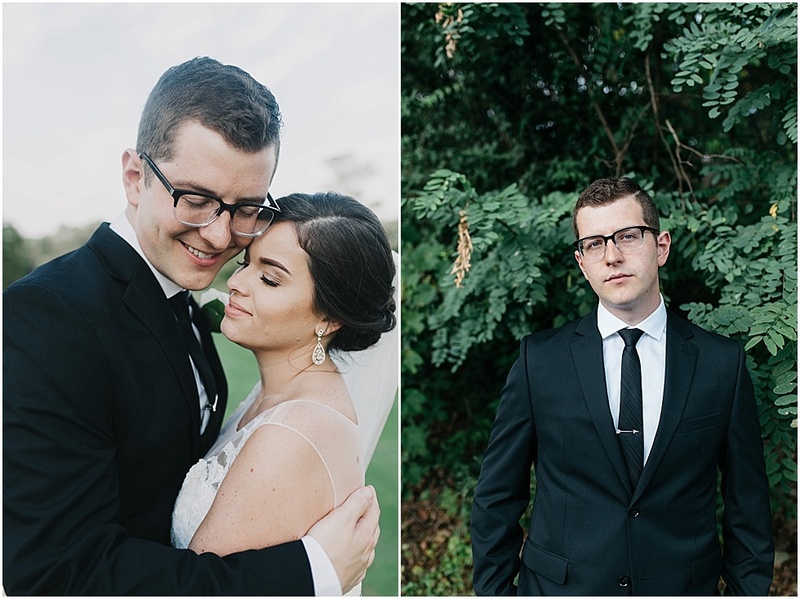 Having many religious backgrounds present at our wedding, we wanted to minimize the confusion of the Mass and enhance the importance of the Mass parts. 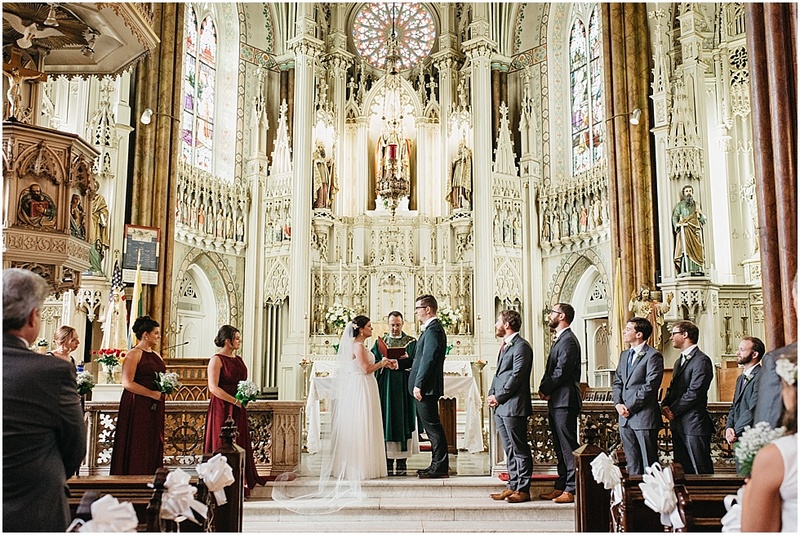 Upon entering the stunning St. Alphonsus Church, each guest was taken aback by its beauty. I like to think that it is only a reflection of our wonder and awe of Jesus. Our wedding program was designed in a way that people would feel comfortable with what was happening next. It also had short explanations about the presentation of flowers to Mary and of the Eucharist. Father John truly captured Christ's love for each person in that church during his homily. It wasn't until the reception that we learned how many guests had never been to a Mass before, and truly enjoyed the service. The reception began with touching speeches, beautiful dances, and even a special rendition of a Spice Girls song from the Maids of Honor! The rest of the night was vibrant with dancing. Seth loves astronomy; I love art. 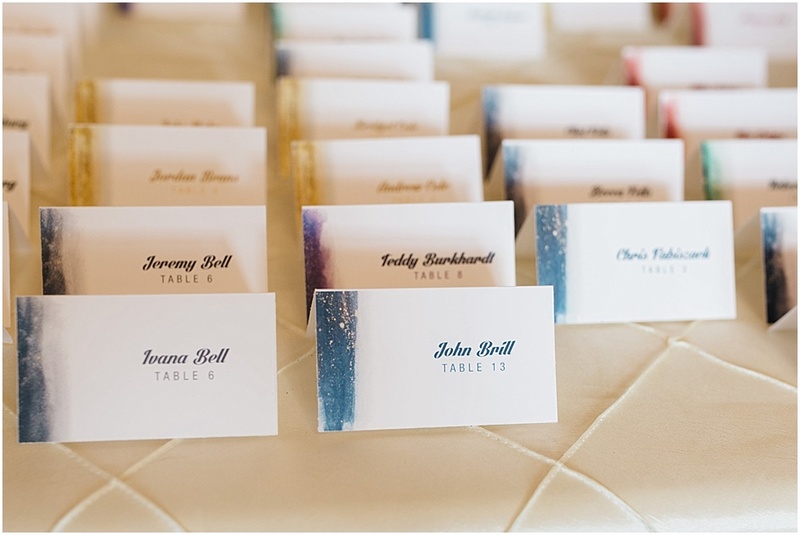 Those merged together created the constellation theme of our wedding. The fact that God created the planets and stars is a pretty wild thing to think about, and causes us to be continually in awe of Him. We still pinch ourselves every day when we hear the words "husband" and "wife." Our hearts are fuller after entering into this sacrament together, and each day we continue striving to be more Christ like to one another.